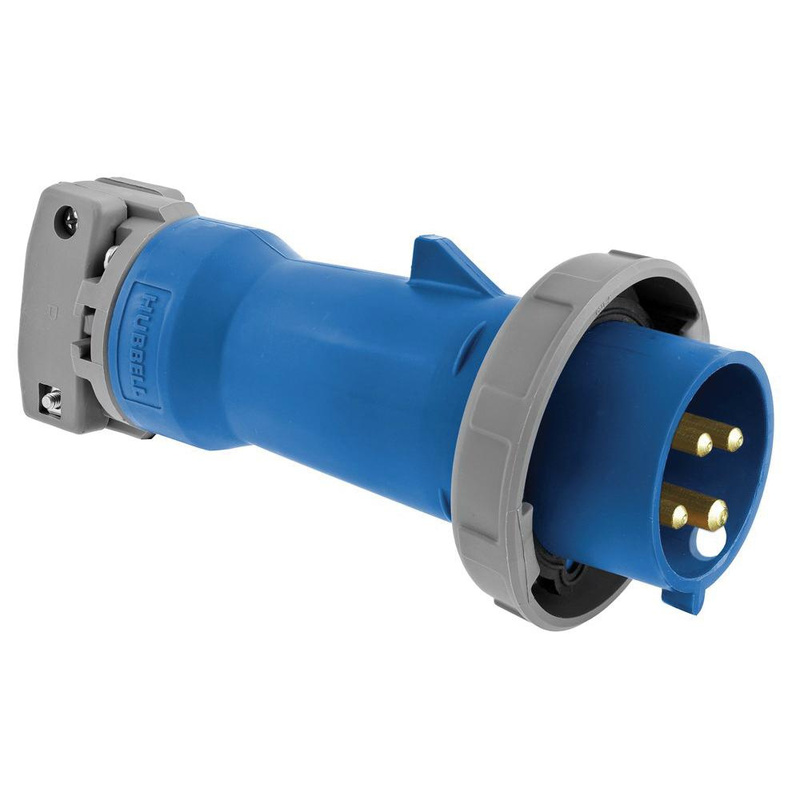 Hubbell-Wiring 3-Pole 4-Wire pin and sleeve plug in blue color, has current rating of 60-Amps and voltage rating of 250-Volts at 3-Phase. It accommodates wire of size 8 - 2-AWG. Plug with locking ring, has Zytel® 801 nylon housing construction for super tough application. It has dielectric strength of 3000-Volt AC. Plug is ideal for fan, heater and pump. It withstands temperature rating of -40 to 75 deg C. It accepts 0.5 - 1.45-Inch OD cable. Plug is UL listed and CSA certified.